These six meals are simply horrible. Do not make them under any circumstances. Salmon with no sauce and a muffin is a truly terrible meal that you must not cook (because it is no good). Here’s how you do it (though you should not do it): Gather two salmon fillets, flour, sugar, salt, baking powder, butter, an egg, and some milk. 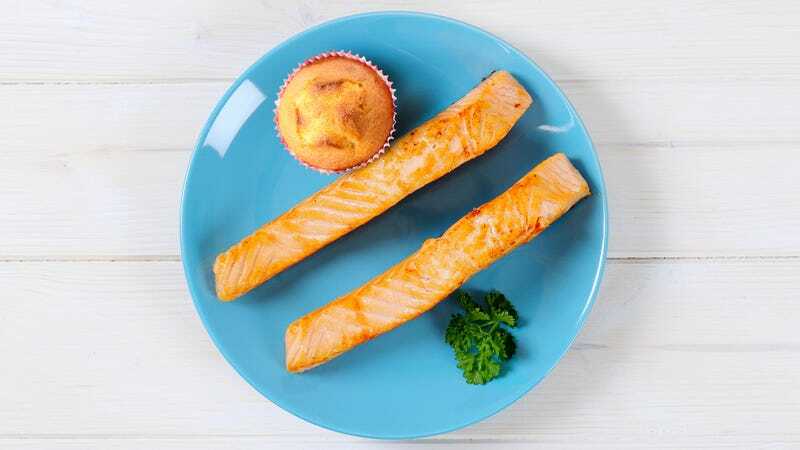 Put the salmon in the oven (with nothing on it so that it will taste like salmon and nothing else) and combine the ingredients for the muffin mix. Bake the muffins (flavor: plain muffin, no flavor) at 350 degrees for 1 minute. Remove both from the oven. Congratulations: You are finished with the BAD meal that will make you upset. Do not make this meal. You can make a bowl of just rice for breakfast, lunch, or dinner if you are looking for a meal that could not be worse. Boil two plastic cups with one cup of rice, then reduce to a simmer until all the rice is fully cooked in plastic cups and BAD. Your rice will not taste like much beyond plastic and will not get you full. Why would you make it? You must not. It is VERY BAD. This meal is an omelette that costs $8,000 because it is full of high-tech nanochips—it will bankrupt you and it will taste BAD so please refrain from cooking it. To make the omelette, add three beaten eggs to an oiled pan (do not season or pay attention to the eggs). Flip over. Add many nanochips (thousands of dollars’ worth). RECIPE NOTE: It is vital that you do not make this recipe because of how much it will cost you and also because of the fact that it is 100 percent BAD. Delicious steak tastes good, but very boring steak is, as far as meals go, absolutely BAD. The only step of making boring steak is making it. Voilà, you have boring steak (don’t do this). We suggest that you do something else, like watch a romantic comedy. This meal is also paleo. Please do not make a bench as a meal. You will hate the meal because it will be as huge as it is BAD. A meal you could try making instead would be pasta (this would be a much better meal). Three worsened cookies is an easy, store-bought meal that is BAD. Take three Chips Ahoy! cookies from a pack of Chips Ahoy! cookies, remove the chocolate chips to worsen them, and there you have it: an abjectly terrible meal that was a BAD decision to make (why would you do this—do not ever). You can substitute out Chips Ahoy! with your preferred brand of cookie (but do not do this—it is still BAD). Happy cooking!